Many thanks to Golnaran Art for nominating Ducky Doodles for a Leibster Award! 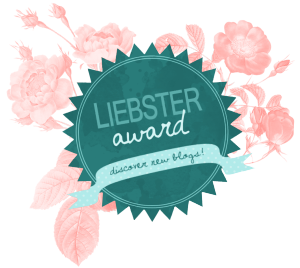 This award is targeted to new and upcoming blogs with fewer than 200 followers. It helps get the word out about some of the cool people out there on the web. Ask the bloggers you nominated questions and let them know you nominated them! 1. Skill or creativity? This is pretty complex for me, since I would say learn skills first, then begin working on creativity. This is not to say the two are mutually exclusive, but it is so much easier to get the end result you want in art when you already have the skills you need to get the work done. That being said, something truly creative trumps even the most skillfully executed work. 2. Reality or imagination? I would have to go with reality on this one, but just because it is so much easier for me to draw something real that I see in front of me than to imagine something no one has ever seen. I am so jealous of people who have strong imaginations, who can create anything and everything. 3. What are your recommendations for me (Golnaran)? I would say to keep experimenting and pushing the boundaries . Once you get good at one medium, try something you have never done before, even if it doesn’t turn out very beautifully. What is your favorite color? Be specific and give a reason pretty please. What do you wish you could do but are hesitant to try? If you could own any car in the world without paying for taxes/upkeep/gas, what would it be? What does creativity bring into your life? Please check out these blogs if you have a minute and see their awesome work.